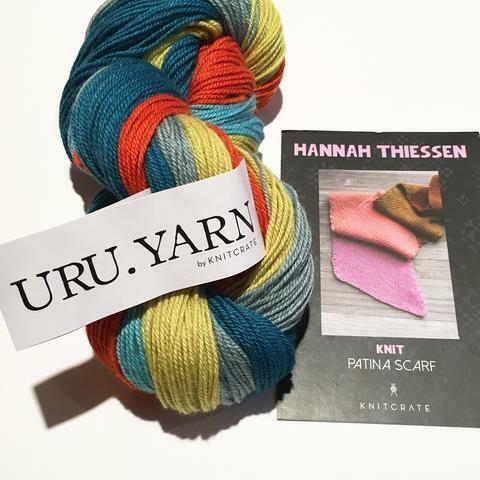 This month’s pattern, the Patina Scarf by Hannah Thiessen, is a perfect way to show off the beautiful Uru.Yarn, hand-dyed by KnitCrate. 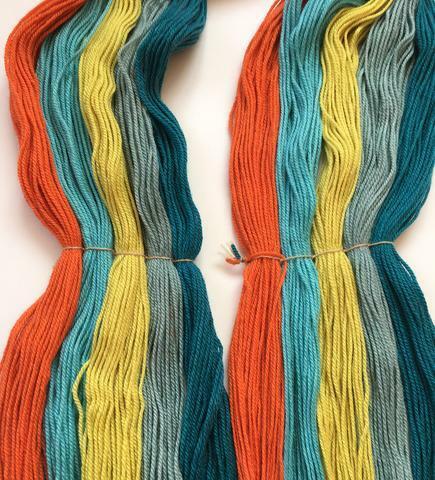 The unique thing about self-striping skeins is that there is a specific color order to each colorway. 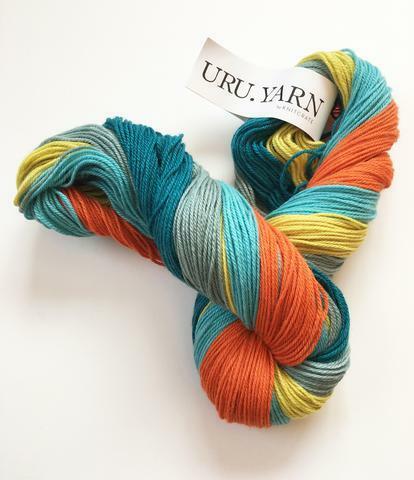 Opening up a skein of Uru.Yarn was a delight to see firsthand how this type of yarn is dyed and wound. 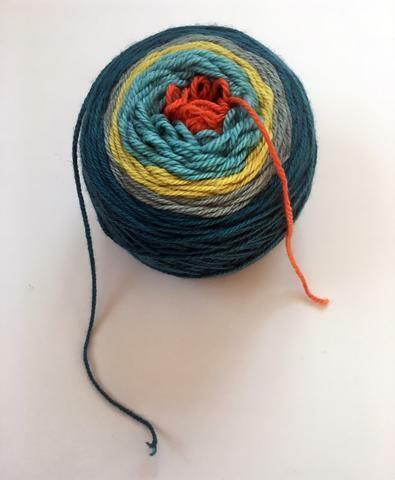 This colorway is “Pinwheel”. 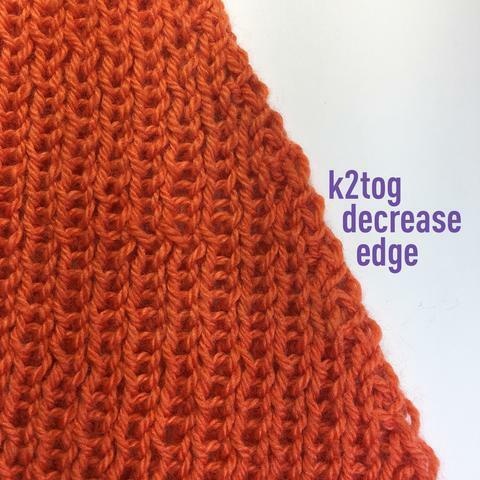 While the Patina Scarf stitch pattern is a simple 1x1 rib, decreases at the beginning of a row paired with increases at the end of a row give the scarf a clever diagonal direction to the knitting. 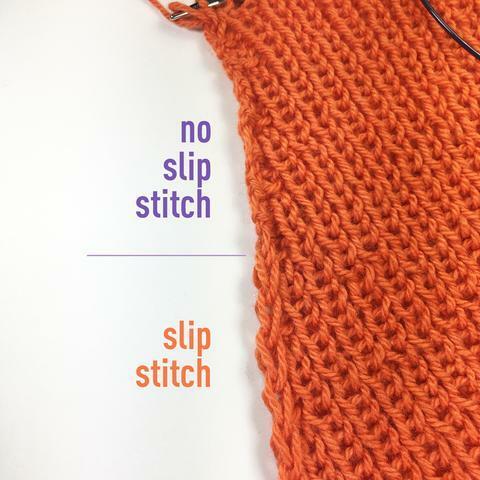 TIP #4: Why is the first stitch slipped? If you want to try a KnitCrate, click here to join me and use coupon code “DK20” for 20% off!